Save 40% on this 20,100mAh mophie power bank with built-in Lightning/USB-C cables, deal ends today! If you're looking for a high-quality power bank that comes with built-in charging cables for added convenience, you should check out B&H's daily deal. The retailer is offering a 20,100mAh mophie portable charger that features a micro-USB and either a Lightning or USB-C cables at a great discount. This item sells for $50 on Amazon, but if you buy one through B&H, you can save $20 or around 40% off its usual price. Furthermore, Amazon does not appear to offer the model with a built-in Lightning cable, which costs $19 as a separate purchase at the Apple Store. Fast charging is also on board, with both the Lightning and USB-C models featuring an output of up to 3.6V/15W. 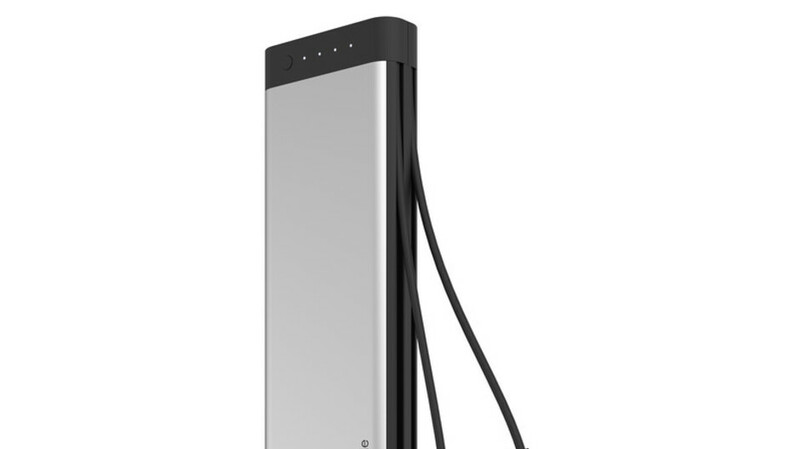 The power bank is built from high-quality billet aluminum and has a sleek design. Shipping is free, and the item comes with a standard 1-year warranty. If this deal interests you, feel free to follow the above link to B&H. The sale will end in 17 hours from the time of writing, so it's advisable to act fast.